January 16th is considered Appreciate a Dragon Day. Don't believe me? Check out the queen of writing dragon books, Donita K. Paul, here. She celebrates Appreciate a Dragon Day every year. I know, so cool, right? If there's one thing you should know about me, it's that I love dragons. If I were a dragon, I would hoard other dragons. These winged-beasts--in any size, form, personality, or ability--are magnificent creatures in my mind. I can easily find reason to appreciate them. 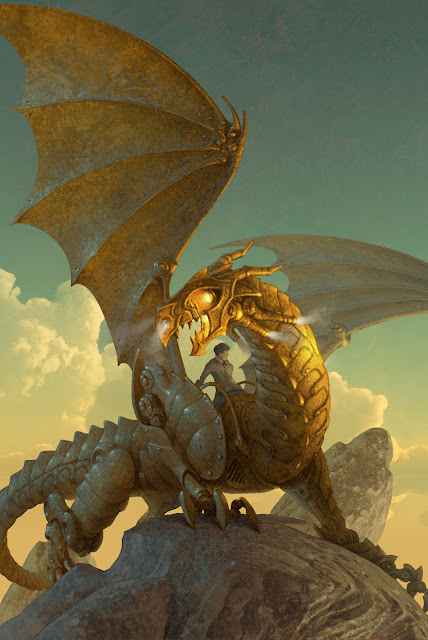 In honor of such a celebration, I've gathered and ranked dragons found in fiction. Here are my top ten favorite dragons. During The Voyage of the Dawn Treader, King Caspian X, along with the two younger Pevensies and their cousin Eustace, visits one of the mystery islands in the Great Eastern Ocean. It's here that poor Eustace Clarence Scrubbs (and he almost deserved it) found himself turned into a dragon. A dragon! Can you imagine? However, Eustace wasn't a very good dragon. He cried. A lot. 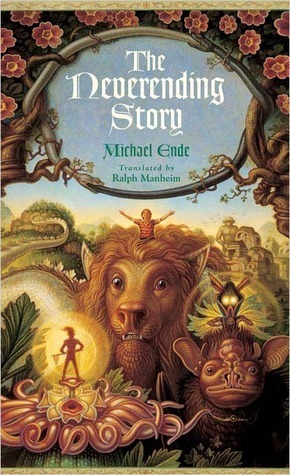 It's only through the patience and care of Aslan that Eustace sheds his scales and is turned back into a boy. While I've only read the book, Falkor the luckdragon remains at the forefront of my mind when I think about The Neverending Story. (He is a dragon, after all.) He helps Atreyu on his quest. He's wise, optimistic, and kind to everybody he encounters. He wouldn't be seen as the typical malevolent, fire-breathing dragon; he's in fact based more on the benelovent, eastern dragon in both personality and body type. But that makes him all the better as a luckdragon. His actions come from his heart, not his mouth. There are few dragons in fiction like Mushu. He's sort of clumsy, definitely funny, and very loyal. He can't do much with his size or little fire-breath. But he doesn't allow his downfalls to keep him from helping Mulan save China. He finds other ways--outside the box ways--to get the job done. It's quite clever of him, actually. Plus, he's hilarious. 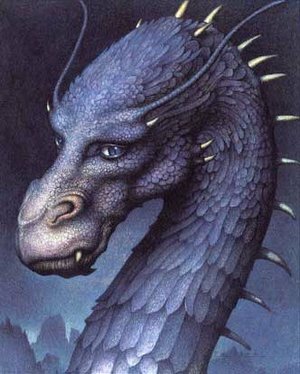 One of the first dragons I befriended was Saphira from the Inheritance Cycle. While I never finished reading those books, Saphira still remained a favorite character. She is a wise, strong dragon willing to put with the likes of Eragon. She's also described as quite beautiful with sapphire scales and with a finely structured body for flying. Despite her vanity for her own figure, she's still a strong, independent dragon, who isn't afraid to speak her mind. Nor does she bow to others, which she shouldn't have to. She is a dragon after all. Haku is both dragon and boy. Actually, he's a River Spirit, which gives him the ability to transform into a dragon. In Japanese mythology, dragons are highly associated with rivers and water; thus, Haku's dragon form resembles the eastern dragon with a snake-like body, whiskers, and a wolf-like face (similar to Falkor or Mushu). He also has the ability to fly. In the movie (which you should go watch), Haku helps the protagonist Chihiro save her parents after they're turned into pigs. It's a wild adventure, and it includes dragons! 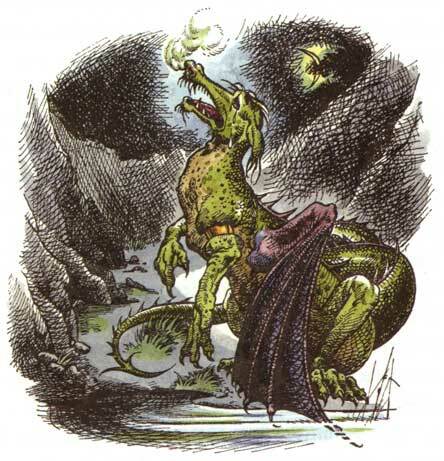 Festus, whose name means "Happy" in Latin, is not your ordinary dragon. He's actually an automaton dragon, which is a highly developed robot machine. Originally, he was created to protect Camp Half-Blood, but somewhere along the line, he short-circuited and went haywire. In The Lost Hero (book one of the Heroes of Olympus series), Leo traps the crazy Festus and fixes him. From then on, he helps the demigods accomplish their mission of defeating Gaia, whether he's in dragon form or attached to the mast of the Argo II. Festus is cool because he's a helpful, robot dragon. Plus, he eats motor oil and Tabasco sauce. If you're looking for a wise, old dragon with a bit of sass, Kilgharrah (No, I don't know how to pronounce that) will do the job. He's the mentor of Merlin from the BBC show. He always manages to give Merlin the right bit of advice in the nick of time. In return, Merlin promises to set Kilgharrah free from the chains that bind him. 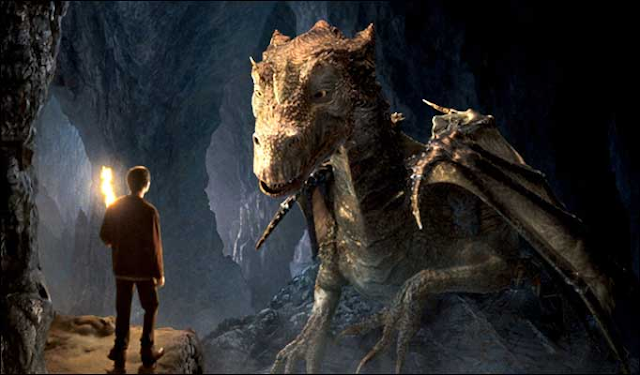 Kilgharrah is also the one who sets Merlin off on his destiny to save Camelot... by helping the prat prince, Arthur. (Yes, the once and future king. Hold the once.) A wise, sassy, British dragon who gives young blokes destinies? Yes, please! Kilgharrah is one majestic dragon. The cutest, most adorable dragon in existence, Toothless is one of my favorite dragons. Whether it's the lovable movie version or the sassy little dragon from the books, he definitely ranks high on my list of dragons. I even have the build-a-bear of him. Toothless is a Night Fury, which is supposedly the most horrific dragon of the viking skies. However, Hiccup learns Toothless is more on the playful side, especially if food is involved. Toothless, however, is also brave--doing anything to help Hiccup or the other dragons--smart, lovable, and yes, sassy. In the books, he's a teeny-tiny dragon who refuses to do anything unless fish or riddles are involved. Even then, he can be lazy and sassy. Thus, I love both versions of Toothless. 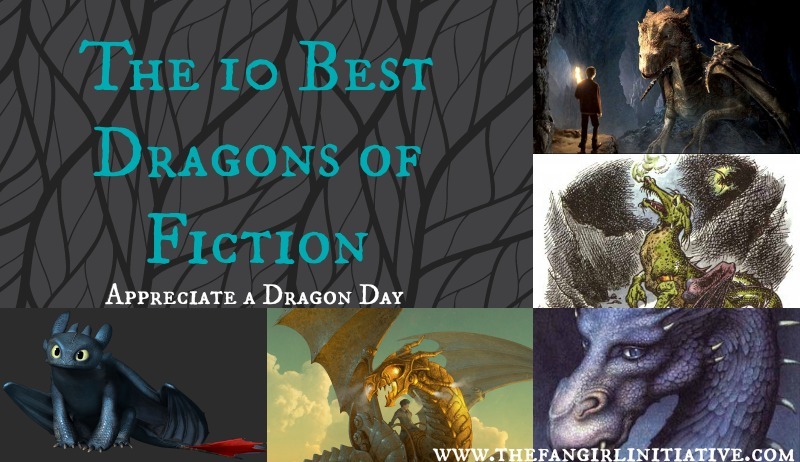 Who is your favorite fictional dragon? Let me know in the comments below along with what you're doing to celebrate 'Appreciate a Dragon Day'! YAS, just yes... Kilgharrah and Smaug are the bestest dragons ever, in fact, I agree on with you about all of them (that I've encountered) and I want to read about/watch the other ones. Seriously, I think dragons should be a pet option, cause I want one. Mushu and Saphira are totally my favorite dragons. <3 Saphira is just... awesome. I would want a Saphira in my life. Maleficent is decently cool, too, although I feel like she could have been developed more. True, Maleficent dragon didn't get much screen time (and she was easily defeated by Phillip's magical sword). But she's pretty cool.